I have four more weeks on break before my school picks up again. I thought I’d go ahead and post one of my all-time favorite chicken recipes. We must have made this at least two dozen times by now, but it doesn’t photograph as nice as I’d like, so I’ve always held off on posting it. The sauce is quite zesty but adding some avocado slices on top can really mellow it out. 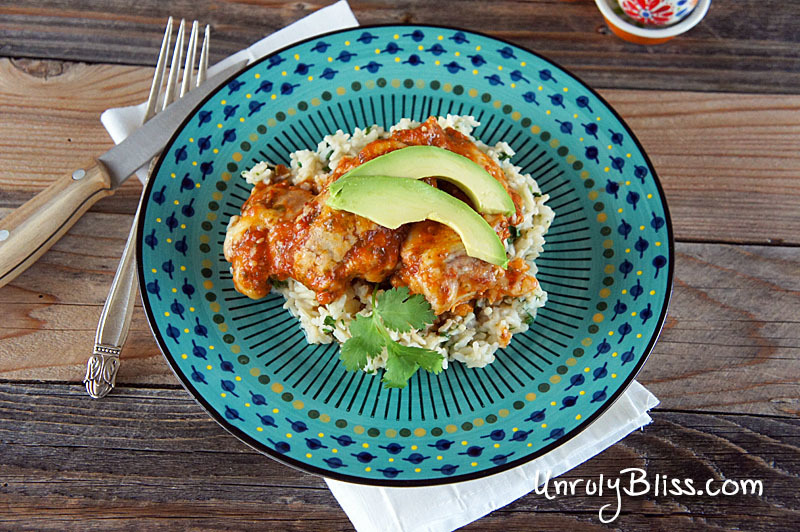 Serve the chicken over cilantro-lime rice for a complete meal that will make you want seconds. Trust me, I know. The chicken recipe has been adapted from Elise at SimplyRecipes.com and the rice recipe is simple and from our own kitchen. Using a blender or food processor, blend together the tomatoes, onion, garlic, cilantro, chipotle peppers and adobo, lime juice, and salt. Be careful with how much you blend though. 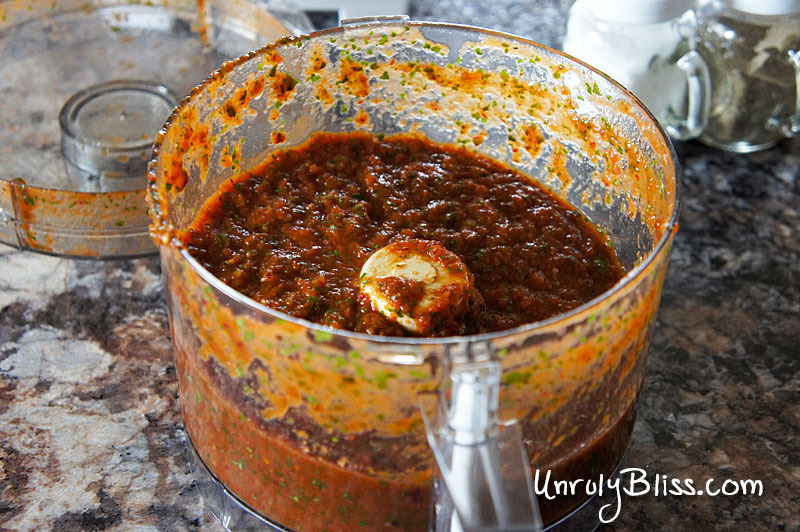 The sauce shouldn’t be smooth or pureed, but it should no longer have any large chunks in it. 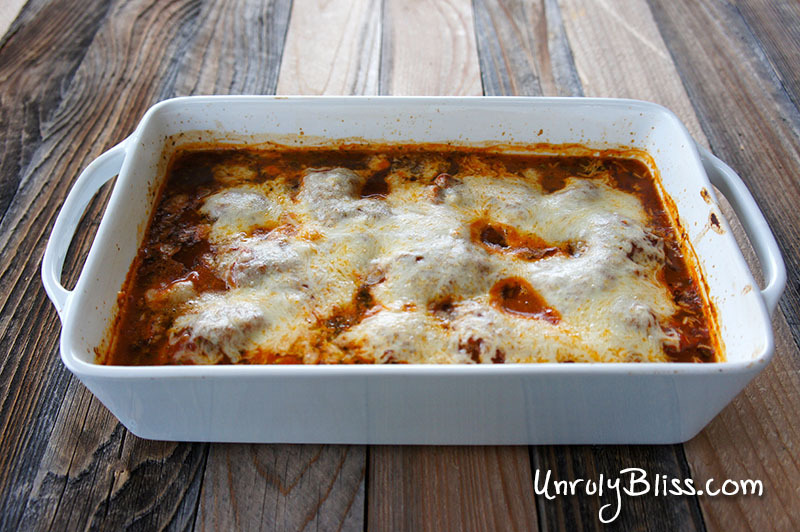 Using an 8X10 casserole dish, place your chicken in one even layer. Pour the chipotle sauce over the chicken, completely coating it on all sides. Cover the dish with aluminum foil and bake it for 30 minutes. Then remove the foil, layer on the cheese, and bake it uncovered for an additional 10 minutes. During the last 10 minutes, or earlier if need be, cook your rice as directed. When the rice is finished, fluff it with a fork, and add in the cilantro, lime juice, and salt. 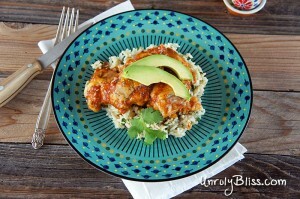 Serve the chicken over the rice with some delicious slices of avocado and crema fresca or sour cream.